Oswald Mathias Ungers was born in Kaisersesch in the Eifel region, known for his rationalist designs and the use of cubic forms. 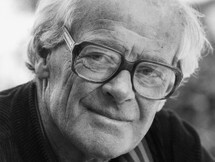 Among his notable projects are museums in Frankfurt, Hamburg, and Cologne. 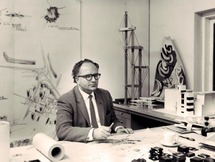 From 1947 to 1950 he studied architecture at the University of Karlsruhe under Egon..
Ralph Erskine (February 24th 1914 – March 16th 2005) was a British architect and urban planner who lived most of his life in Sweden. Erskine spent his childhood in Mill Hill in the London Borough of Barnet (North London). 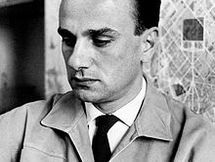 During the 1930s, he studied architecture at the Regent Street Polytechnic,..
Giancarlo De Carlo (December 12, 1919 - June 4, 2005) was an Italian architect. 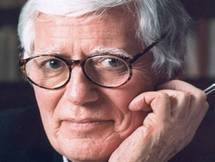 He was born in Genoa, Liguria in 1919. He trained as an architect from 1942 to 1949, a time of political turmoil which generated his philosophy toward life and architecture. 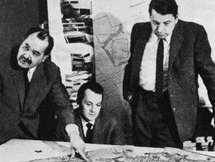 Libertarian socialism was the underlying..
Born in Groningen, Bakema studied at the Groningen Higher Technical College..
Shadrach Woods (June 30th, 1923 – July 31st, 1973) was an American architect, urban planner and theorist. 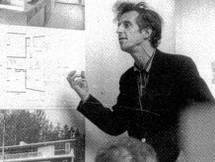 Schooled in engineering at New York University and in literature and philosophy at Trinity College, Dublin, Woods joined the Paris office of Le Corbusier in 1948. Assigned to the project for..